Blessed with ravishing rocky beaches, serene forests, lakes, fortresses, and hilltop castles, visiting the beautiful North European country of Estonia is nothing less than spending time in the paradise on Earth. If you’ve already planned your trip to Estonia, the first important thing you need to have is a checklist of the Estonia visa requirements while applying for a visa. Visa requirements to different countries vary according to the laws of that particular country. In the case of Schengen area countries, there is only a requirement for one visa, called the Schengen Visa, in order to travel across all the Schengen countries. You can obtain the Schengen Visa from the Embassy or Consulate of the particular country you’re planning to visit. Since you’re travelling to Estonia, which comes under the Schengen area, you need to get a Schengen Visa from the Estonian Embassy. It’s definitely not the toughest visa application processes, but you need to know a lot about Estonia visa requirements. If you’re worried about the various Estonia visa requirements for applying for a Schengen visa to Estonia, please relax and read on. 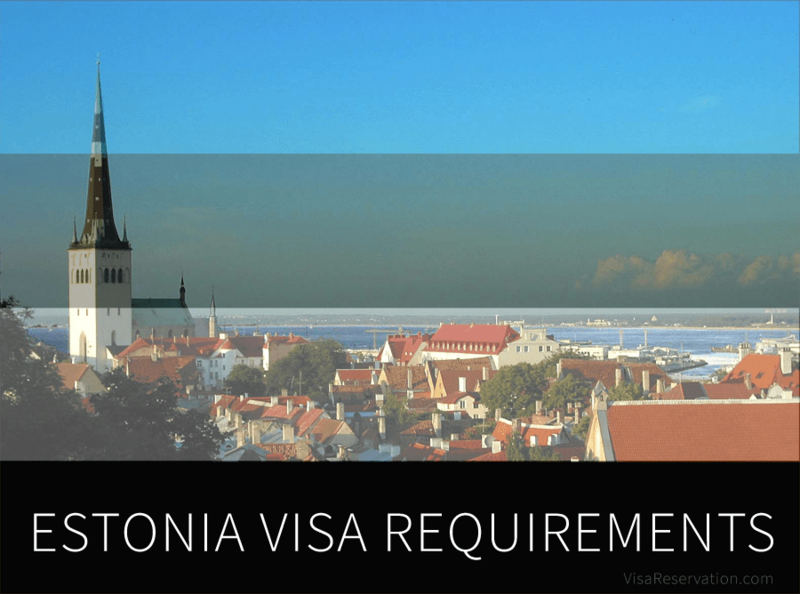 This article has everything you need to know about Estonia visa requirements. A valid Passport: Your passport should be issued within the past 10 years, with an expiry date that is at least three months after your return back to your home country. Also, remember to check your passport well in advance to know whether you have at least two blank pages. You may also need to submit a photocopy of the first and last page of the passport, along with your passport. Completely filled visa form: Estonian visa application can be filled online by clicking on this link. Even though you can choose between English, Estonian and Russian to fill the application, it is best to fill in the language that you’re comfortable with. Remember to read all the instructions thoroughly before filling the visa application, and don’t miss out on filling out the mandatory details. It is extremely important to prevent any typing errors. In case you’re in doubt, you can click on the ‘?’ symbol next to the respective fields to know more. Once you’re done, you’ll get your visa application number and the visa application will be sent to your email ID. You need to take a printout of the application and submit along with the rest of the important documents and Estonia visa requirements. Passport size photographs: The passport size needs to have a dimension of 35×40 mm and your face should cover at least 70% of the photograph. Remember to keep the background light, preferably white. Also, the Immigration officers wouldn’t take any photograph that has been manipulated using computer software or is older than 6 months. Covering letter: The covering letter should be self-attested and needs to explain your purpose of visiting Estonia. Bank statements: Your bank statement, duly signed and sealed by the respective bank, is the proof of your financial means. So, by requesting for your bank statement, the Embassy needs to know whether you have the appropriate funding required for the travel and for your return. Proof of accommodation: Whether you’re staying at your relative’s or a friend’s place, or you have arranged a hotel, you need to provide a proof of where you’re intending to stay during the whole tour. If you’re staying at your relative’s or a friend’s place, you need to show the proof of sponsorship, along with certain documents showing the Estonian identity of your host. In case you’re finding accommodation in hotels, the receipt for hotel reservation for visa is enough. Proof of means of transport: Just like the proof of accommodation, your means of transport for the whole duration of your tour needs to be submitted. This can include you car rental receipts in Estonia or any other booked transportation means, along with your whole itinerary. Since Estonia is a Schengen area country, you can travel to any other Schengen Country, but of course, you need to submit the Inter-Schengen reserved flight tickets, booked train tickets or car rental receipts. Flight reservation for visa: A confirmed flight reservation ticket to Estonia as well as a confirmed or dummy flight reservation for the return visit is required. You can get the confirmed return ticket even after the visa has been issued. Travel Insurance: You need to submit the documents for a travel medical insurance policy with a coverage of, at least, 30,000 EUR at the time of visa application. Remember that this travel insurance should be valid across all the Schengen countries. Since we provide Travel Insurance for Schengen visas without any hassle, you don’t have to worry about running around in search of any Estonia visa requirements, such as the travel insurance. Documents to be submitted by employed applicants: If you’re a salaried employee, you may also need to submit a No Objection Certificate from your employer, which contains the name and full address of the employing company, your name, designation, salary, leave approvals, as well as no objection statement from the employer. While submitting documents for your visa application, you need to appear in person at the Estonian Embassy or Consulate. This is very important, as you need to provide your biometric data, such as fingerprints as well as digital photographs, which cannot be furnished by the travel agency or any other person representing you. Because of the biometric data requirement, your first-time visit to the Embassy can also take a bit longer. So, being aware of this delay is very important in scheduling your dates. However, if this is not your first time applying for a Schengen Visa in the last 5 years, your biometric data will be copied from the previous visa application, which should be available in the Visa Information System (VIS). Now that you’ve got a good idea about the Estonia visa requirements, you may be feeling a bit perplexed about where to find all these additional documents from. Well, fret no more! We understand that you need a bit of help during your visa application, even though you’re applying for the visa on your own. That is why, we recommend our experienced support staff for any assistance regarding dummy flight reservation or getting a hotel reservation for visa. This way, you can be sure that everything has been done correctly and you’re going to get the visa approved!